The instant popularity of Heari validates that there’s high demand for a convenient and versatile headphone that allows people to experience their full hearing potential in every situation. 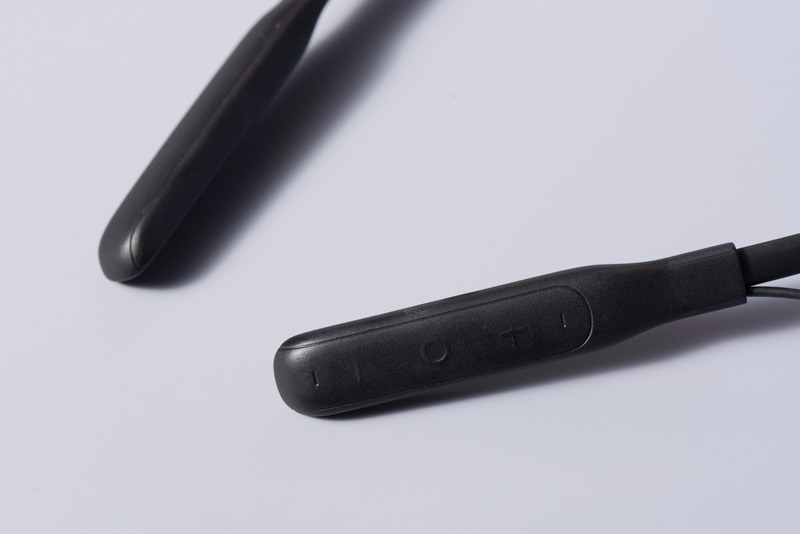 “Heari”, the first tailored-audio neckband headphones, has surpassed its campaign goal in less than 48 hours on Kickstarter – raising more than $63,000 and counting. MF Jebsen Electronics teamed up with AumeoAudio, to create “Heari” - offering the highest quality tailored sound for music, conversation in noisy places, phone calls and enhancing life experiences every day. Heari is a premium neckband headphone designed to bring the most out of hearing in all situations. The surprisingly affordable headphones tailor sounds to each ear’s hearing sensitivities using AumeoAudio’s proven algorithm and software. In real-time, it measures each ear by eight frequencies and adjusts the sounds accordingly. The Aumeo team spent six years conducting clinical trials with over 7000 people's ears (combined with utilizing existing medical research) to create the best algorithms for tailoring audio for everyone's unique hearing profiles. Heari offers audio transparency allowing users to hear the world around them and tailor sounds to their ears. The technology has won many accolades over the years, with early testers including Sir Richard Branson and Steve Wozniak. 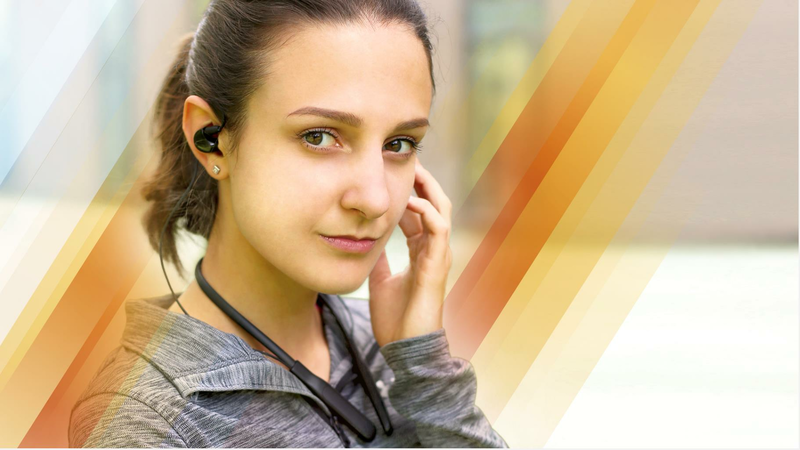 Heari is the most advanced and innovative addition to a growing trend of fashionable neckband headphones, which is a new top selling category. 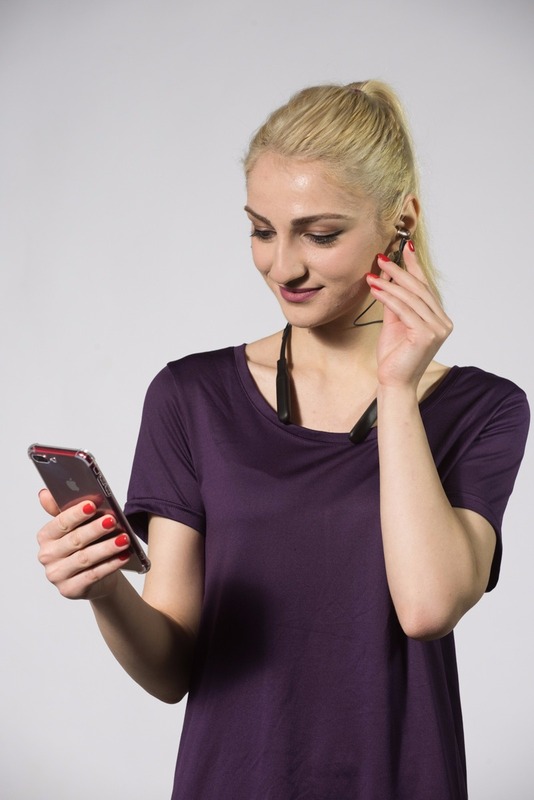 Neckbands are known for being easy to carry around, having much longer battery life, better Bluetooth connectivity and superior acoustics than true wireless earbuds. Heari combines the latest hardware technologies, including Qualcomm’s CSR 8675 chip, which offers aptX, 24-bit audio processing and top-end Bluetooth connectivity. 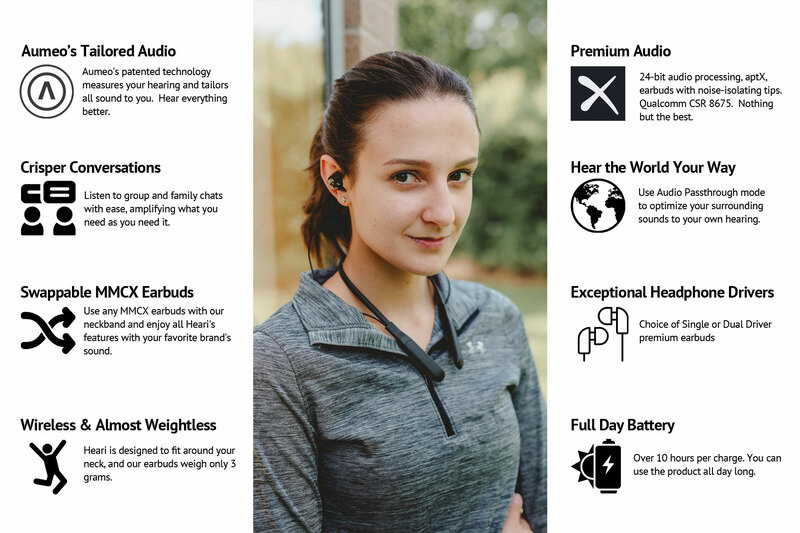 Heari’s earbuds utilize technology popular among audiophiles called MMCX connectors, so users can freely replace the earbuds that come with Heari, with any top-of-the-line MMCX headphones. The high-end version of Heari adopts the coolest hybrid technology which is the combination of one dynamic driver and one balanced-armature driver. 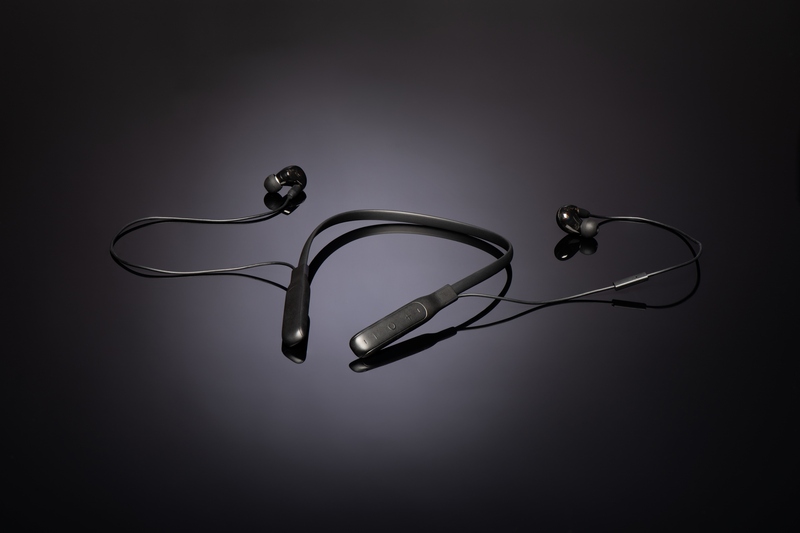 The balanced-armature handles high frequency audio while the dynamic driver handles low frequency audio. It offers true reference-quality sound. The true magic of Heari lies in the software and the Heari app. Heari users simply go through a two-minute hearing profile setup – with the app communicating with Heari to tailor sounds specifically for that individual. Beyond tailored audio, Heari’s app allows users to customize how they like to hear using some presets (e.g. Bass Boost, Voice Gain) and a built-in equalizer for the tech-savvy. In addition to allowing consumers to enjoy music and audio better, Heari is also the latest challenger in the expanding field of hearing-assistive devices that has emerged since the passing of the ‘Over The Counter Hearing Aids Act’ in August 2017. These devices are creating waves in the hearing space, where tailored hearing aids are currently sold for $2,000 - $3,000 per ear. Products like Heari, which offers improved battery life over its competitors, could address similar needs in a more fashionable manner for 1/30th the cost. For more information, or to purchase Heari at early-bird crowdfunding discounts, visit the Heari Campaign Page on Kickstarter. About MF Jebsen Electronics - MF Jebsen Group was formed in 2002 following a restructuring of the Jebsen Group of Companies, a family-owned business - Jebsen Group of Companies dating back to 1895. With over two decades of experience in manufacturing audio products, , MF Jebsen has sold over 600,000 pieces of music players to markets worldwide. One of its subsidiary MF Jebsen Electronics Limited (MFJEL) now joins hands with the award-winning Aumeo team, their concerted efforts in research and development, coupling with MFJEL's competence in delivery and logistics, have co-developed Heari, a revolutionary audio neckband on par with professional level headphones. For more information, please visit: https://www.mfjel.com. About AumeoAudio - Founded by Silicon Valley pioneer Paul Lee in 2014 and led by music and technology enthusiast Vincent See, AumeoAudio is the pioneer of personalized audio. The company’s vision is to build technology that significantly improves the way everyone hears. In 2015, AumeoAudio successfully crowdfunded more than $300,000 for its first product on Indiegogo, the Aumeo Headphone Personalizer. In 2018, the company partnered with MF Jebsen Electronics to introduce a second product using its proprietary tailored audio technology on the crowdfunding website Kickstarter – Heari. For more information, visit https://aumeoaudio.com/.